This entry was posted in Divorce, Solicitor on January 10, 2016. 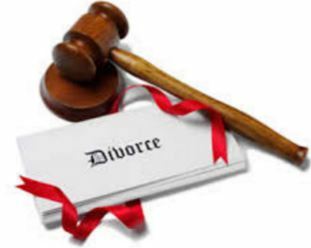 Are you Looking For A Divorce Solicitor in Rochdale that will meet and surpass your needs? At Sarah Dixon & Co Solicitors you’ll deal with a highly qualified and experienced solicitor who specializes in Family Law cases. Efficient, compassionate and understanding, they offer a competitively priced service that gives the client peace of mind they’re in the hands of consummate professionals. As a Rochdale based divorce solicitor, Sarah Dixon & Co have handled countless numbers of divorce cases, providing clear and concise advice on divorce matters while demonstrating the right degree of sympathy when dealing with such an emotive subject. Sarah Dixon ensure all issues are resolved with the minimum of stress and strain on the clients’ behalf. Highly recommended, when looking for a divorce lawyer in Rochdale, Sarah Dixon & Co Solicitors tick all the right boxes. Having established an enviable reputation for quality service over the years, Sarah Dixon & Co Solicitors have built up a large client base, who appreciate the friendly, knowledgeable approach they receive. For more information and to arrange an initial appointment with Sarah Dixon, call now on 01706 399919 or alternatively fill out the contact us form and someone will respond promptly.